After studying the information we have gathered for MediNatura BHI Hemorrhoid Relief, we are not convinced as to whether this is the best solution to hemorrhoids today. In this MediNatura BHI Hemorrhoid Relief review, we aim to determine whether this hemorrhoid supplement will be able to address the symptoms associated with this rectal problem. According to MediNatura, BHI Hemorrhoid Relief tablets are designed to treat the symptoms associated with hemorrhoids such as inflammation, itching, and burning of the rectal veins. Let’s find out if this product is worth your while. This is a homeopathic remedy that is believed to help with reducing inflammation as well as minimize itching. Homeopathy is a form of alternative medicine based on the idea that the body is able to heal itself, however, there is no clear evidence it works. In terms of dosage, you need to take 3 tablets of MediNatura BHI Hemorrhoid Relief every day as part of the standard dosage. You should take one tablet every 4 to 6 hours as part of standard dosage. On the first sign of any inflammation or swelling, you need to take one tablet every half an hour to an hour until the symptoms disappear. Afterwards, you should go back to your regular dosage. These tablets should be dissolved in the mouth and not swallowed. Children below 18 should consult with their doctors first before taking this hemorrhoid relief. Make sure that you do not take more than 12 tablets per day. 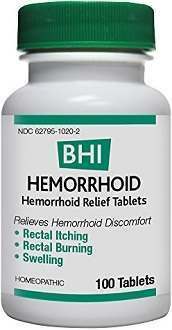 The cost of MediNatura BHI Hemorrhoid Relief on Amazon is $9.87 for a bottle containing 100 tablets. 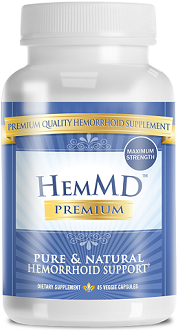 You can also get this hemorrhoid relief supplement for $10.39 in VitaCost and CVS. Discounts may vary depending on the shop you will purchase it from. 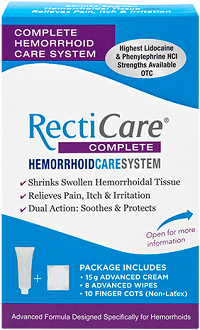 When it comes to a guarantee, we did not find any specific money back guarantee regarding this hemorrhoid relief product. We believe that the refund policy will vary depending on which store you purchase the item from. You should check for the company’s refund policy to ensure that you are getting your money’s worth for this medication. 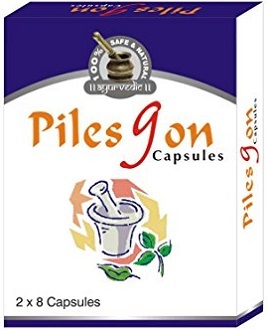 After studying the information we have gathered for MediNatura BHI Hemorrhoid Relief, we are not convinced as to whether this is the best solution to hemorrhoids today. On the plus side, we find that the ingredients contained in this product have positive effects with regards to the inflammation of the rectal veins. Another plus is that it is relatively cheaper compared to others. We are concerned with the lack of money back guarantee when you purchase this product with the exception of the different retail outelts’ own refund policy. In conclusion, we believe that there are other better options on the market aside from MediNatura BHI Hemorrhoid Relief.